10 Things You Might Not Know About THE DARK KNIGHT | Warped Factor - Words in the Key of Geek. Geek Dave is not a monster. He's just ahead of the curve. 1. The nickname "the Dark Knight" was first applied to Batman back in 1940 in Batman #1, in a story written by Bill Finger. 2. Before Heath Ledger was confirmed for the role of the Joker in July 2006, Paul Bettany, Lachy Hulme, Adrien Brody, Steve Carell, and Robin Williams all publicly expressed interest in it. Nolan met with several unnamed actors to discuss playing the Joker but all of them were put off by the legacy of Jack Nicholson's interpretation. Nolan had wanted to work with Ledger on a number of projects in the past (Ledger had actually been one of Nolan's early suggestions as a possible Batman for Batman Begins, but during the casting process both the director and the actor agreed that Ledger was wrong for the part), and sought him out to bring the Joker to life. When asked the reason for Ledger's unexpected casting, Nolan simply replied, "Because he's fearless." 3. Heath Ledger was responsible for the look of his own Joker. After accepting the role he hid himself away in a motel room for about six weeks, secluded from the outside world, devoting his time solely to developing the Joker's every tic, his voice, sadistic-sounding laugh, and appearance. Ledger purchased some white clown makeup and cosmetics from a drugstore, and reasoning that the Joker himself would design and apply it, decided he should do just that too. Once he emerged from his seclusion and revealed his ideas to the production team, who clearly loved them, it became the make-up team's responsibility to replicate the look each day for filming. Including the white make-up on the Joker's hands, which was originally left as residue from Ledger's sample application. 5. Even though Christopher Nolan personally offered her the chance to return, Katie Holmes decided not to reprise her role as Rachel Dawes. Instead, she opted to co-star with Diane Keaton and Queen Latifah in the film Mad Moneyr. Sarah Michelle Gellar, Isla Fisher, Emily Blunt and Rachel McAdams were all considered for the role before Maggie Gyllenhaal stepped in. 6. Before Aaron Eckhart was cast as Harvey Dent / Two-Face, Liev Schreiber, Josh Lucas, and Ryan Phillippe had expressed interest in the role. Hugh Jackman was approached but declined the role, while future Hulk Mark Ruffalo auditioned, narrowly missing out to Eckhart. 7. Before the release of Batman Begins, screenwriter David S. Goyer wrote a treatment for two potential sequels which introduced the Joker and Harvey Dent. Goyer's original intent was for the Joker to scar Dent during the Joker's trial in the third film, turning Dent into Two-Face much later on. However, Christopher Nolan and his brother Jonathan rewrote much of Goyer's story, compressing the overall story to allow Dent to become Two-Face in The Dark Knight, thus giving the film an emotional arc the unsympathetic Joker could not offer. Nolan later acknowledged the title of this film was not only a reference to Batman, but also to the fallen "white knight" Harvey Dent. 8. Trouble arose during a PR campaign before the movie's release,when a website related to the film sent out several cakes purportedly from The Joker, containing a cell phone inside which made the cake vibrate, and had wires sticking out, making the cake look like a bomb. One such news station which received one of the cakes, believed it to be an actual terrorist act, and the entire building had to be evacuated. 9. Heath Ledger died on January 22nd 2008, some months after he completed filming and six months before the film's release, from a toxic combination of prescription drugs. This lead to intense attention from the press and movie-going public. 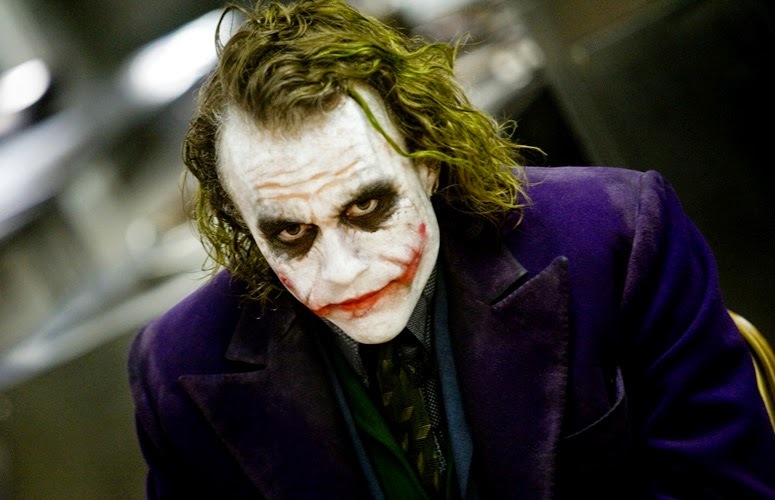 Warner Bros. initially created a viral marketing campaign for The Dark Knight, developing promotional websites and trailers highlighting screenshots of Ledger as the Joker. When the film was released it was dedicated partly to Ledger's memory, and at the 2009 Academy Awards Ledger was posthumously awarded Best Supporting Actor for his role as the Joker. 10. 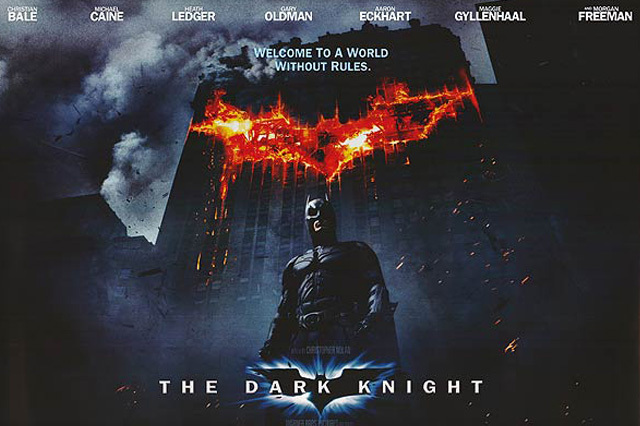 The Dark Knight is the most successful Batman film to date, taking over a billion dollars at the box-office on release in 2008 - in fact it surpassed Batman Begins entire domestic take in only 6 days of release! According to a recent report from Forbes, adjusting for inflation The Dark Knight currently sits as the 10th most profitable film of all time.